I grew up in a multiracial household...half Italian, half Puerto Rican, and a tad Swedish and German. I wish I could say I was bilingual, but sadly my dad never picked up on the Spanish language enough to teach it to his kids. However, what he did pick up on was the cooking. Boy, do my parents know how to cook some amazing Puerto Rican food. Even with my mom being Italian, she makes the most amazing rice and beans ever, likely due to her growing up in a very diverse neighborhood in the Bronx. So I guess you could say I have a little bit of an advantage in cooking certain meals, both Italian and Puerto Rican. One of my favorite meals growing up were these empanadas my parents made, which we called pastalios. I don't know why we called them that, but whatever the reason, they are the most amazing things ever! 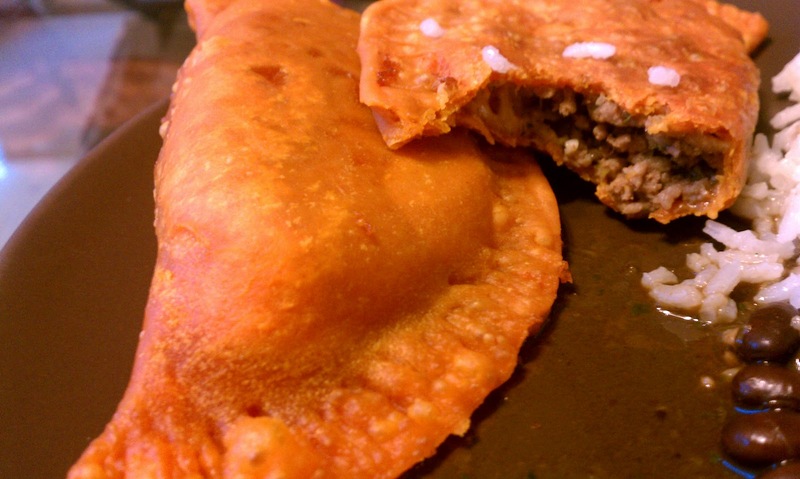 For those of you who have never tried an empanada, it's basically a fried pastry stuffed with meat and cheese. YUM! I'm not ordinarily a huge fan of fried foods because the smell never seems to leave the house, but this meal is totally worth it. 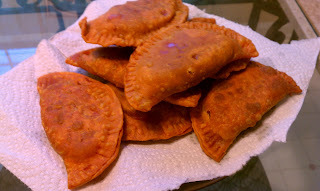 Plus, the smell of the sofrito, rice, and beans is enough to make my stomach growl and mask the annoying fried food smell. Heat a large skillet on medium high heat. Brown and break apart your ground beef, about 8-10 minutes. Season with salt, pepper, garlic powder, and adobo. Add 1/3 cup of sofrito to your cooked beef. Lower heat to medium low and let cook an additional 5-8 minutes, or until the sofrito juice has been absorbed into the beef. 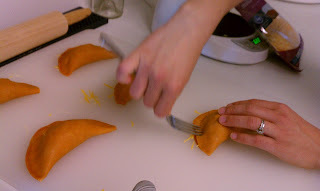 Let cool completely before assembling your empanadas. In a blender, puree the cilantro, garlic, olive oil, bell pepper, and onion until smooth. Set aside or freeze in airtight container for later use. Makes 1 1/2 -2 cups. 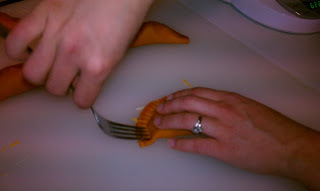 Step 1: Lay out your empanada shells on a flat, clean surface, such as a cutting board. 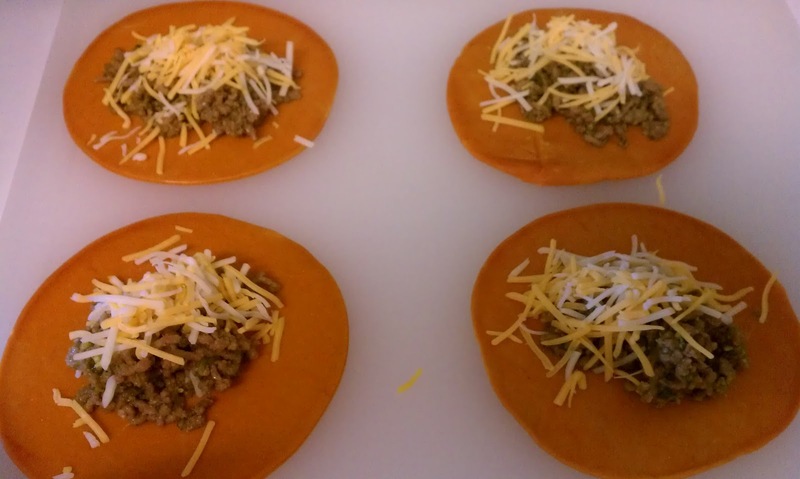 Step 3: Fold the disc in half, carefully so as not to spill out any meat or cheese. Pinch the disc closed with your fingers. Then, using a fork, press down along the folded disc and go across the entire shell making fork marks. Turn over and repeat. Step 4: Heat a large, deep skillet with vegetable oil on medium high heat, enough to coat at least 1 1/2 inches of the bottom of the pan. When oil is heated enough (note: water will sizzle and pop when dropped in it) begin frying your empanadas. 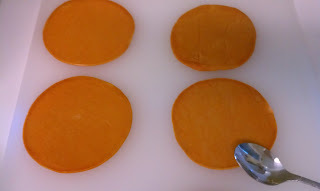 Fry them about 3-5 minutes on each side, or until they are golden brown and no longer doughy on either side. Set empanadas on a paper towel lined plate to cool. In your rice cooker, add 2 cups of white rice, 1 Tbs olive oil, and salt to taste. Cook according to manufacturer's instructions. In a small sauce pan on medium heat, add your beans, plus fill the can with water and add that as well. Add in the sazon, sofrito, garlic powder, adobo, pepper, and onion powder. Stir well. Heat to boiling then reduce to a simmer for 10-15 minutes, stirring occasionally. 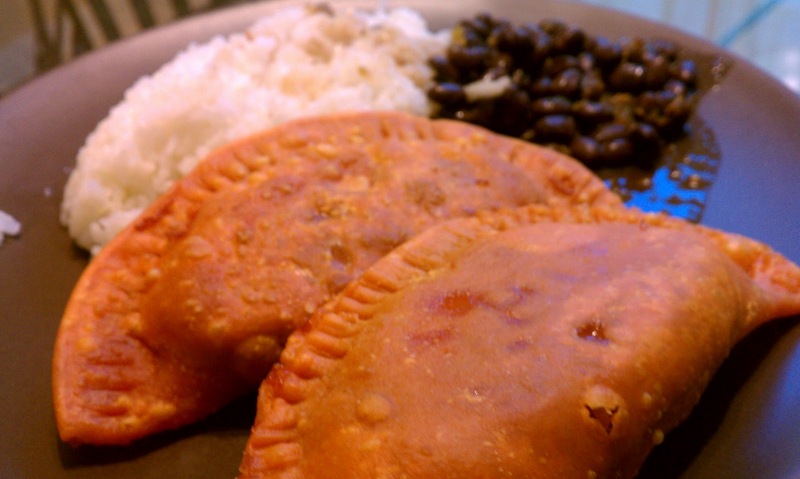 Serve with white rice and empanadas. Enjoy!